INSTITUTE OF ENGLISH Institute of English was founded by George Matthai in 2000. We had students who secured BAND 9 in Listening and Reading during the past 18 Years. We have a Special Offer where we provide Full refund of IELTS Training and IELTS Test Fees to Our students who secure BAND 9 in all modules of IELTS. We are specialists in Coaching for IELTS, Spoken English, Personality Development, Public Speaking and American & British Accent Training. Get rid off your Xenophobia and Speak English with confidence to anyone. Monday - Friday. : First Batch 7 am to 9 am,Second Batch 9.30 am to 12.30 noon,Third Batch 2.30 pm to 5.30 pm.Fourth batch 5.30 pm to 8 pm. Saturday & Sunday : 9 am - 12 noon Institute Of English Is the Leading Spoken English Institute in Kerala, Overseas Education Consultants in Kerala, IELTS Spoken English Institute in Kerala, Educational Training Institute In Ernakulam,IELTS Training Centers in Kerala, IELTS Training Center in Ernakulam, IELTS Training Centers in Kochi, Institute In English Ernakulam,IELTS Coaching Centers In Palarivattom,IELTS Training Centers In Palarivattom,IELTS Centers In Ernakulam,Langauge Training Institute In Ernakukam,Spoken English Training Centers In Ernakulam, Personality Development Center In Ernakulam,Educational Training Institute In Ernakulam,Educational Training Institute In Palarivattom,Educational Training Institute In Kochi,IELTS Coaching In Ernakulam,IELTS Training In Kochi, Spoken English Training In Kochi, Personality Development Training in Kochi, IELTS Coaching In Kochi, Spoken English Coaching In Kochi, Personality Development Coaching in Kochi, IELTS Classes In Kochi, Spoken English Classes In Kochi, Personality Development Classes in Kochi,IELTS Training In Kerala, Spoken English Training In Kerala, Personality Development Training in Kerala, IELTS Coaching In Kerala, Spoken English Coaching In Kerala, Personality Development Coaching In Kerala, IELTS Classes In Kerala, Spoken English Classes In Kerala, Personality Development Classes in Kerala.IELTS Training In Ernakulam, Spoken English Training In Ernakulam, Personality Development Training in Ernakulam, IELTS Coaching In Ernakulam, Spoken English Coaching In Ernakulam, Personality Development Coaching in Ernakulam, IELTS Classes In Ernakulam, Spoken English Classes In Ernakulam, Personality Development Classes in Ernakulam. IRISH, JESUIT FATHER MURPHY WAS MY FATHER"S ENGLISH PROFESSOR IN MADRAS LOYOLA COLLEGE.MY FATHER PROF A.P.MATTHAI GOT CAMPUS SELECTION AT LOYOLA COLLEGE MADRAS IN THE YEAR 1933.HE GOT SELECTED TO TEACH AT ST ALOYSIOUS COLLEGE MANGALORE......THUS HE STARTED HIS ENGLISH TEACHING CAREER IN 1933. WHY INSTITUTE OF ENGLISH = INSTITUTE OF ENGLISH HAS A HISTORY OF TEACHING ENGLISH FROM THE BRITISH ERA, INSTITUTE OF ENGLISH IS THE BEST PLACE FOR IELTS. INSTITUTE OF ENGLISH IS THE BEST PLACE FOR SPOKEN ENGLISH TRAINING. INSTITUTE OF ENGLISH IS THE BEST PLACE FOR PERSONALITY DEVELOPMENT. WE OFFER FULL FEE REFUND FOR OUR STUDENTS WHO SCORE 9 BAND IN ALL MODULES - OFFER VALID TILL 31.12.2016. SPEAKING GOOD ENGLISH WITH CONFIDENCE IS REALLY AN ASSET. WELCOME TO THE INSTITUTE OF ENGLISH AND GET THE BEST TRAINING FOR IELTS. INSTITUTE OF ENGLISH- THE BEST PLACE FOR EFFECTIVE SPOKEN ENGLISH. JOIN INSTITUTE OF ENGLISH FOR PERSONALITY DEVELOPMENT. INSTITUTE OF ENGLISH OFFERS FULL FEE REFUND FOR ITS STUDENTS WHO SCORE 9 BAND IN ALL IELTS MODULES.THIS OFFER IS VALID TILL 31.12.2016. 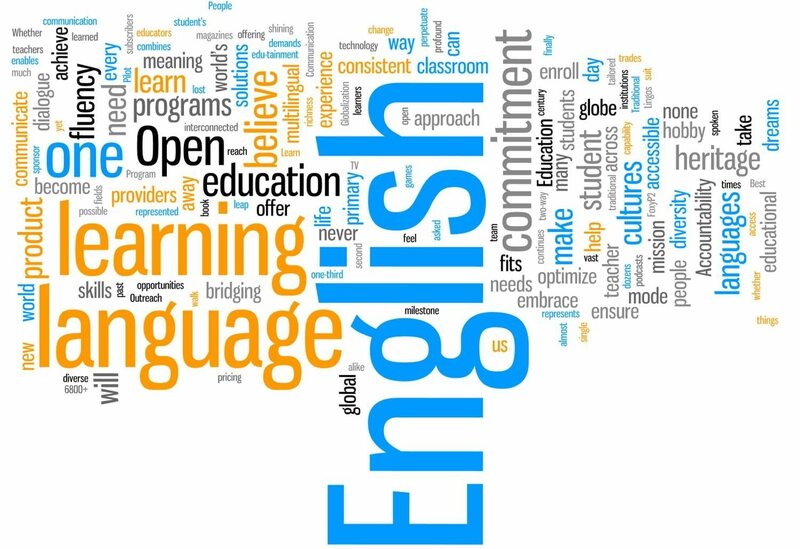 ENGLISH IS A LANGUAGE WHICH CAN EMPOWER YOU, LEARN IT FROM THE MASTERS ie THE INSTITUTE OF ENGLISH.WE AT THE INSTITUTE OF ENGLISH OFFER YOU EXCELLENT INDIVIDUAL COACHING FOR IELTS/SPOKEN ENGLISH AND PERSONALITY DEVELOPMENT.WE ALSO CAN HELP YOU SETTLE DOWN IN AUSTRALIA/USA/CANADA/NEW ZEALAND etc. CONTACT US, OUR PHONE NUMBER IS 9895826573.WE ARE OPEN FROM 6.30 am TO 6.30 pm ON WEEK DAYS AND FROM 9 am TO 12 pm ON SUNDAYS AND SATURDAYS. INSTITUTE OF ENGLISH ESTD IN 2000, OFFERS FULL REFUND OF COACHING AND TEST FEES OF IELTS TO ALL ITS STUDENTS WHO SCORE 9 BAND IN ALL MODULES OF IELTS, IN ONE SITTING.OFFER VALID TILL 31.12.2016. CONTACT 9895826573, INSTITUTE OF ENGLISH. MORNING BATCH STARTS AT 6.30 am, OTHER BATCHES START AT THE CONVENIENCE OF STUDENTS. INSTITUTE OF ENGLISH IMPARTS BEST PERSONAL TRAINING IN IELTS/SPOKEN ENGLISH/PERSONALITY DEVELOPMENT. CLASS STATS AT 6.30 am - 1 pm AND 2 pm - 5 pm ON WEEK DAYS.STUDENTS CAN CHOOSE THEIR CONVENIENT NUMBER OF HOURS. SATURDAY AND SUNDAY CLASS STARTS FROM 9 am - 12.30 pm. INTERESTED STUDENTS PLEASE CONTACT 9895826573, or VISIT THE INSTITUTE OF ENGLISH, FIRST FLOOR, PENTA ESTATE, SOUTH JANATA ROAD JUNCTION, MAIN ROAD , PALARIVATTOM, COCHIN.